Affordability meets function in the latest Vie Vaporizer. When we say affordable, we really mean affordable AF! Right now you can pick up one of these Vie vaporizers for under $50 for a limited time. Based on the price alone we made a few assumptions about the Vie, thankfully we were very wrong on most fronts and it surpassed our expectations. Let’s dig in a little further. 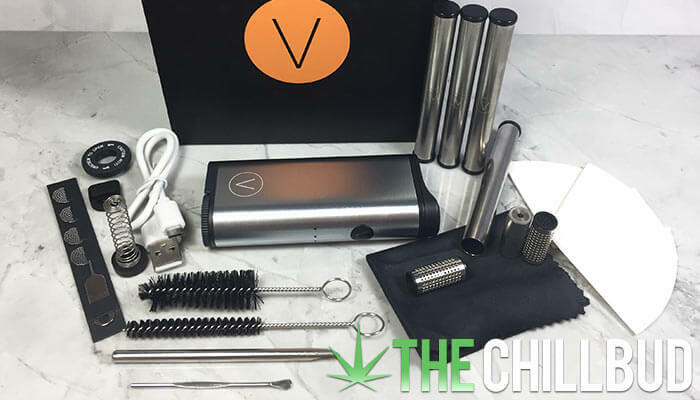 The Vie vaporizer has a limited time price of only $49.89, down from the original $99.89. Generally when we check out vaporizers around this price point we expect nasty plastic flavors to leech into the vapor, or an overall cheap feeling unit. Vie offered a surprisingly clean tasting vapor, void of any plastic aroma or flavor. As far as build quality the Vie doesn’t disappoint. Yes it uses plastic liberally, but there’s no rattling parts or “cheap” feeling components. It really does a great job for the being as affordable as it is. Firstly and most importantly, how does the Vie perform? Well, the vapor quality itself was really fantastic, up there with some $200+ models without a doubt. As far as the actual function of the vaporizer, I wasn’t as pleased as I would have hoped. 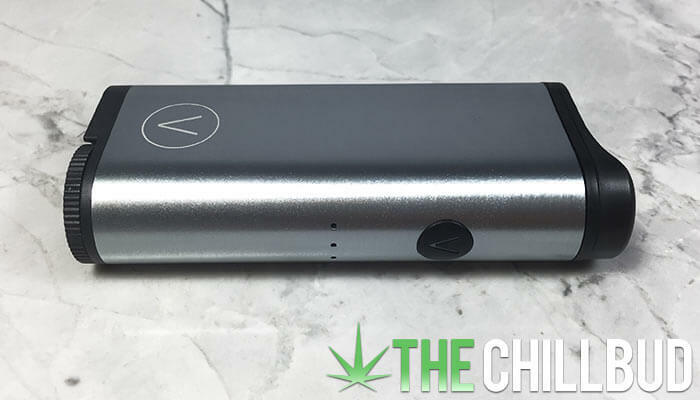 The Vie turns on with a few quick clicks of the button, and you can choose between the 4 temperature settings using a very tiny button on the bottom of the vaporizer. I found the pre-set temperature options a bit disappointing though, the lowest temperature was too low, and the jump between settings was too vast. There wasn’t a perfect temperature for my personal preference (usually between 375° – 385°). It seemed the second pre-set temperature was well above this, and I didn’t dare venture into the 3rd or 4th option as I would reserve those for concentrates. As far as actually using the Vie, after the first few clicks to get the unit up to temperature, I had to click the button each and every time I wanted to take a puff after the first 2 minutes or so. It had to once again reach temperature (far quicker I’ll admit), making a long session quite a bit of work. With no screen to monitor the current temperature it makes it a bit of a guessing game to properly use the Vie unless you’re only having a puff or two at a time. The capsule system that Vie implemented is fantastic! 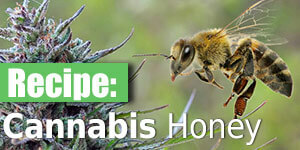 Aside from the minor nuisance of loading the capsules, they perform extremely well and are next level convenient. Load one of the stainless steel capsule tubes with up to 3 pre-loaded capsules and quickly swap out used ones with fresh ones in a matter of moments. I found the heat distribution was more than adequate, the herb was evenly toasted throughout the capsules with no need for a stir or flip. Affordable as it gets during the limited time price point of $49.98, without being cheap or foul tasting. Vapor quality was fantastic despite not having the best range of temperature options. The capsule technology is simply awesome. I’d like to see every vaporizer company from now on implement something like this. Being able to tote around pre-loaded capsules that you can quickly load is hugely beneficial for a portable vaporizer. Using the Vie for long sessions is a bit annoying considering you’ll have to click the button to reheat the unit between virtually every puff. Loading the capsules is a bit messy. While the paper funnels do help clean things up quite a bit, I have to assume I’ll misplace or ruin them after a few months of use. Either better pre-set temperature controls or full control over the temperature would be a welcome addition to the Vie. I was thoroughly impressed with the Vie despite the few issues I had with it. When you consider the fact that this vaporizer costs less than $50 (for a limited time) it’s difficult to fault it for anything at all. The vapor quality is fantastic, so what else could you possibly expect / want for under 50 bucks? 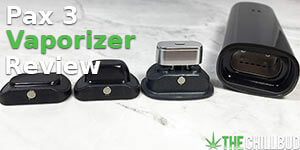 The Vie vaporizer is a perfect low-cost vaporizer for on-the-go vaporizer enthusiasts thanks to the capsule technology.